As we continue to celebrate Women’s History Month, I’m so glad this is a book we have available in our collection. “A Journal for Christa: Christa McAuliffe, Teacher in Space” by Grace George Corrigan (University of Nebraska Press, 2000) is a personal account, written by her own mother, of a passionate teacher turned American icon. As part of our permanent collection it’s available for check out to anyone. Just ask our amazing Information Services staff! This title is published by the University of Nebraska Press, which we collect from for our state document program. 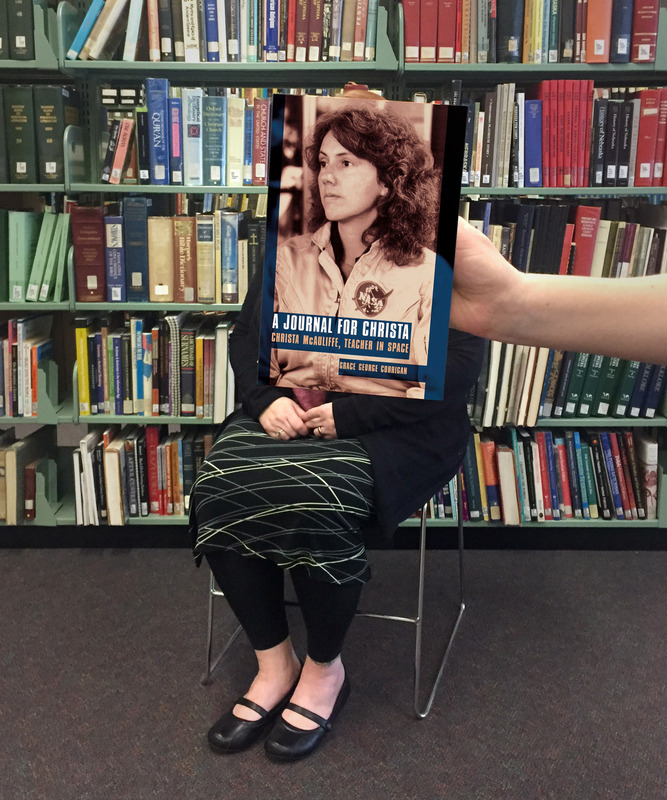 This week’s #BookFace model was an obvious choice, Library Development Director, Christa Porter!